1 1/2 miles East of Why, Arizona. 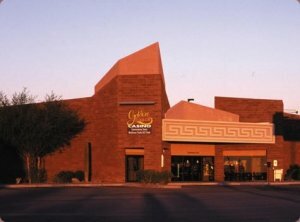 There is a newer RV park behind the "GOLDEN HASAN" casino in WHY, AZ. The only place I could find the RV park was using Google maps satellite pictures. The casino just did a remodel, it is small, has about 75 slot machines and I think they were putting in a card table the last time I was there.